So you're looking to set up a new website for your company... that's awesome! Congratulations on taking this step! Whether you're starting a new business, updating your current website, or simply moving to a new tool, this is a big deal. Setting up your WordPress website correctly the first go-round can save you money and heartache down the line. In this article, we will walk you through the process step-by-step with screenshots and tips to help you get started on the right foot. We will talk about security, pricing and what options you have when you use GoDaddy and WordPress together. This setup will cost between $100 and $500 per year depending on the packages you choose and length of your contract. Step 1 - Purchase a domain. Your domain is used to identify pages on your website as the root www."domainname".com. If you have already purchased your domain, great! If not, we suggest GoDaddy. Their prices are very fair and they frequently run deals. Typically, your domain will cost $14.99/year. Using GoDaddy will help with step 2. Step 2 - Set up a hosting service. Step 3 - Buy an SSL certificate. 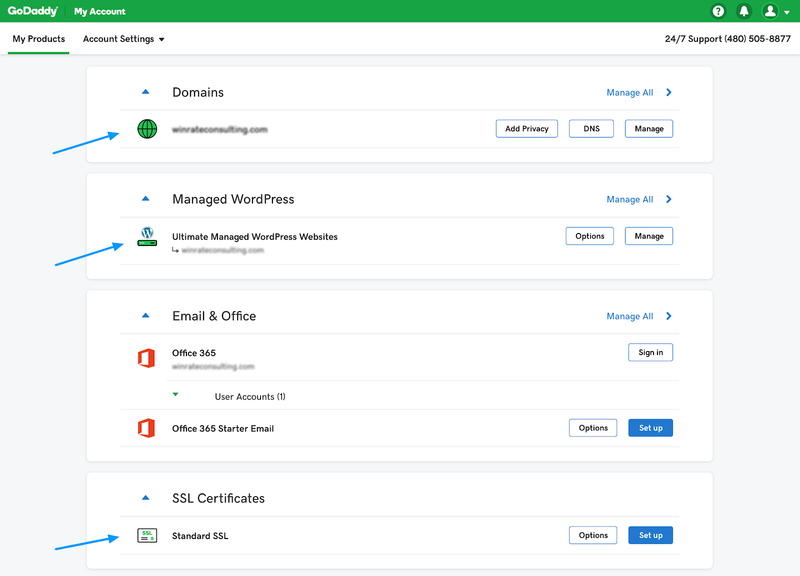 With GoDaddy’s Ultimate Wordpress Hosting service, you also get a free SSL certificate for the first year. SSL stands for Secure Sockets Layer. It provides data protection and security for your website to ensure a secure internet connection and protect the data shared on your site. This can be your personal information, your website visitors’ information and your clients’ information. We require an SSL for all of our clients. After the first year, it automatically renews at the standard going rate, which is currently $74.99/year. This is true of many hosting services. 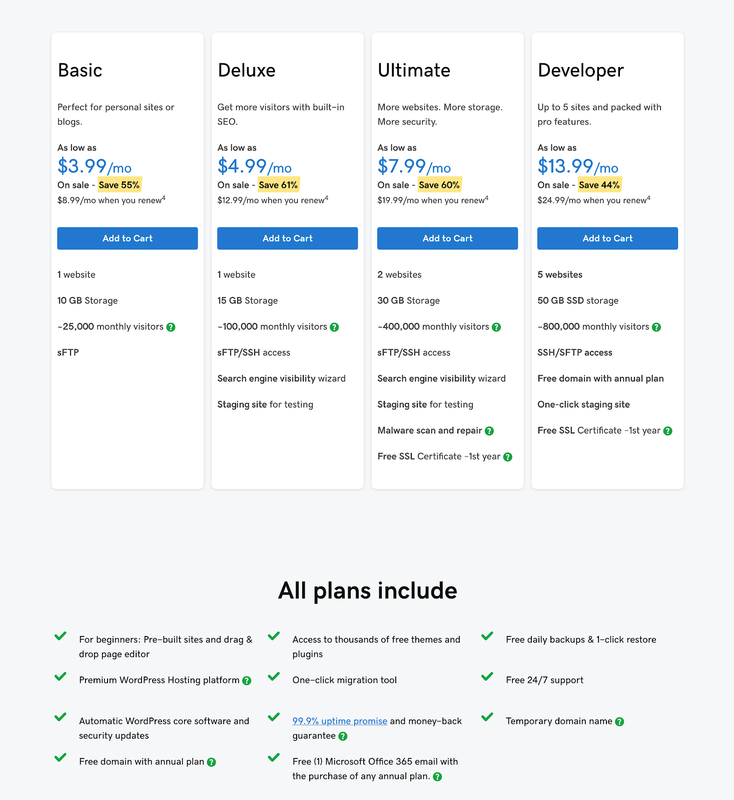 If you go with a different hosting service or don’t choose the plan that includes an SSL certificate, you can buy it separately here from GoDaddy. Note: you will need to go in and activate your SSL certificate. 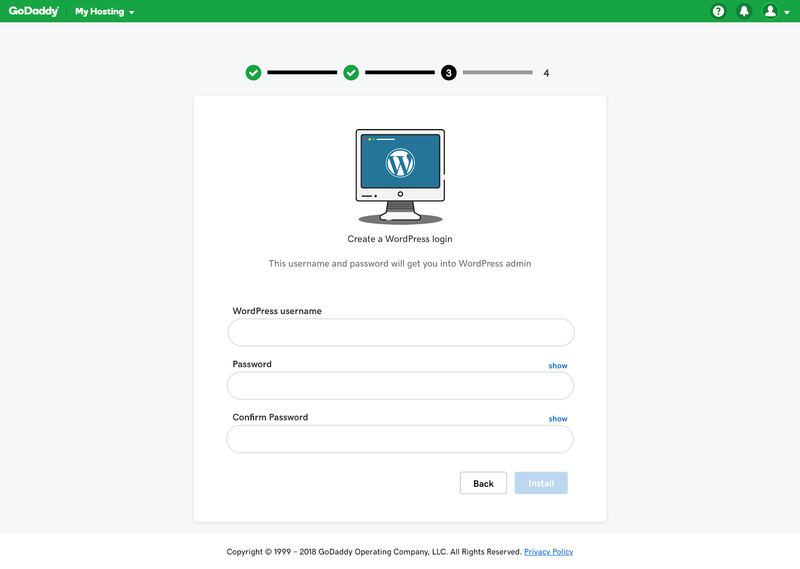 Step 4 - Set up your WordPress account. Next, click the blue [ + Add Site ] button. Follow the instructions on the next four screens. 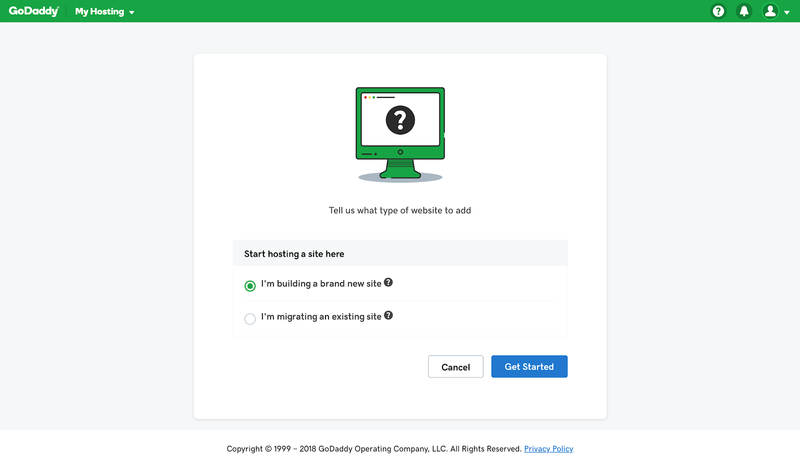 Choose “I’m building a brand new site." Next, choose your domain from the drop-down. Here’s where you will create your WordPress account. This will not charge you extra. Create your username and password, and make sure it is one that you can share with your website developer and team until you can set up more users. Once you’ve added a username and password, the blue "Install" button will light up. Click that Install button and your Domain, Hosting Service and WordPress account will be synced. This normally takes a few minutes. 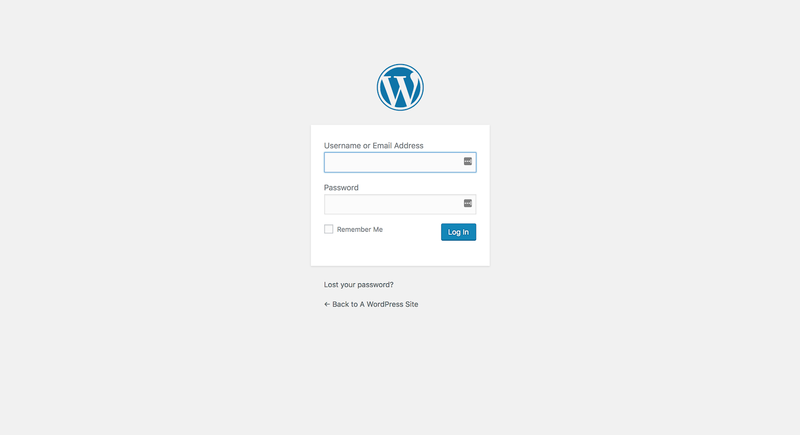 Last, test your new WordPress login. Now you’re ready for development! Once you have all of the pieces in place, you can start building your website in your WordPress account. You can use and customize WordPress templates or build a custom website, but these costs are not included in the account setup fees. If you have questions about strategic website development that can help you grow your business, let us know! We're here to help.